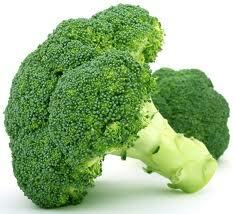 Broccoli's note worthy nutrients include vitamin C, vitamin A (mostly as beta-carotene), folic acid, calcium, and fiber. While the calcium content of one serving doesn't equal that of a glass of milk, broccoli is an important calcium source for those who don't consume dairy products. Calcium does more than build strong bones. Additionally, the health benefits of broccoli have been linked to preventing and controlling the medical concerns like diabetes, calcium deficiencies, stomach and colon cancer, malignant tumors, lung cancer, heart disease, arthritis, and even the aging process. every last drop of vitamins and healthy components, you should try steaming, microwaving, or preparing broccoli in a tasty stir-fry. Broccoli Gravy is a delicious gravy curry that goes very well with both rice and roti. 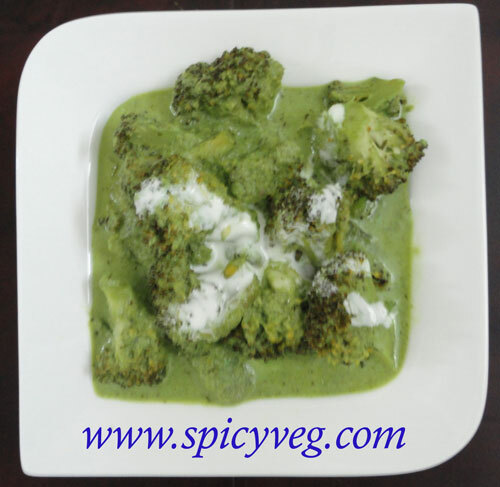 Broccoli doesn't lend itself to Indian-style of cooking, but it's very good for your health, so here's a recipe you might want to try. 1.Take the ingredients from the grinding section and grind to a fine paste with addition of little water. Keep it aside. 2.Take a non stick kadai, add oil. Saute the cinnamon, cardamom, cloves. Then add the ginger garlic paste. Saute until nice aroma comes. To this add the ground paste and cook in low flame. Now, add the broccoli florets and cook until broccoli is cooked but still crunchy. Keep stirring frequently and add cream and give a final stir. Switch off the flame once done. 3.Garnish with some coriander leaves and little cream. Serve hot for rotis, kulchas, or rice.